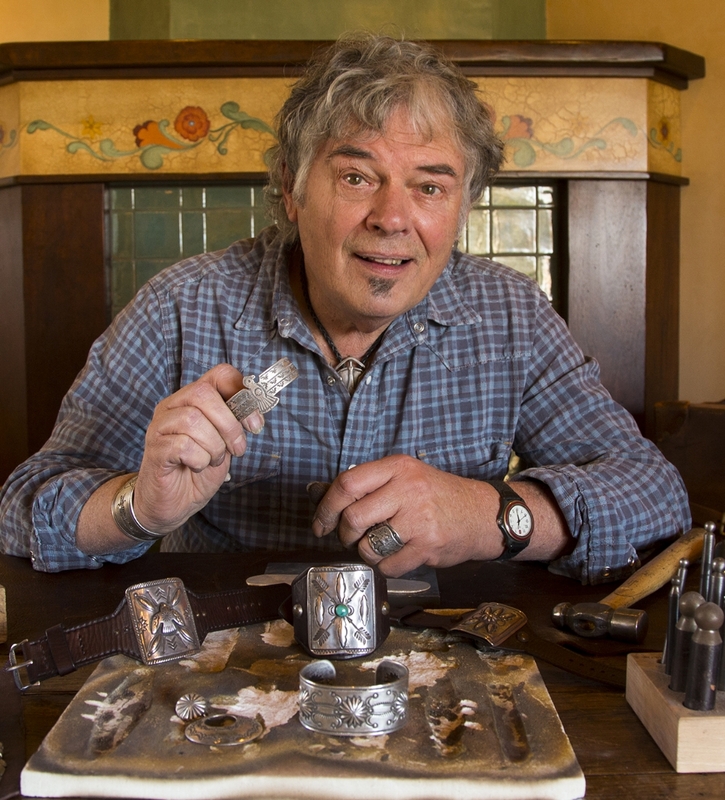 The silversmith known as “Buffalo” is included in a small group of contemporary artists that use traditional methods to design and fabricate their works. With almost 40 years of experience, he is considered a master of his craft. Often reminiscent of vintage Navajo work, several of Buffalo’s pieces are displayed in various museums throughout the country. Buffalo is renowned for his classically designed “Ketos,” (pronounced Ke-toh), or bowguards. Bowguards were traditionally worn by Native Americans to decoratively protect their inner arm from the arrow fletchings when loosing a bow. Buffalo’s rendition of this classic style incorporates true vintage saddlewear–vintage leathers and bolts–into the pieces, which serves to elevate his uniquely stamped bowguards and cuffs. Buffalo is a renowned recluse with beginnings in Pagosa Springs, Colorado. Buffalo now resides in Santa Fe, NM, where he continues to work day and night at his bench.